Our 6 cottages are positioned in a magnificent coastal position close to Lamorna Cove on the south coast of Cornwall between Mousehole and Land's End and enjoy spectacular views across Mount's Bay to the Lizard Peninsular. Knights Cottage has 3 bedrooms and is all on one level with a ramp and wet room making it suitable for wheel chair access. The Owls House has 3 bedrooms and is on one level with only a couple of steps. 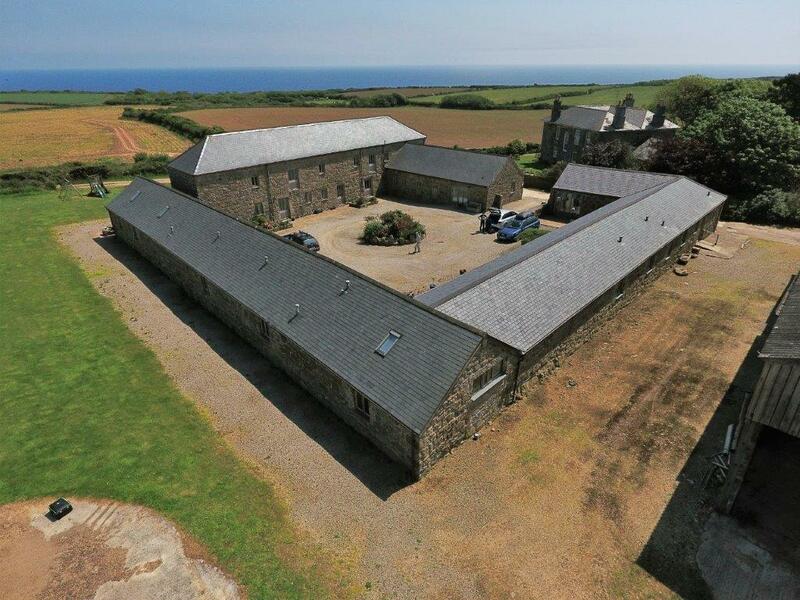 Munnings Barn and Forbes Retreat are very spacious 3 bedroom properties on two levels. Munnings Studio is a one bedroom bijou property. The Top Shelter is a luxury spacious one bedroom propert suitable for wheel chair access and wet room. A five minute walk will take you into Lamorna famous for its colony of artists at the turn of the last century. If you feel more energetic there are a network of public footpaths radiating from the farm linking Mousehole to the east and Porthcurno and Land's End to the west along the South West Way. The famous Minack Theatre at Porthcurno and The Tate Gallery at St Ives are both reached easily. Sennen Cove famous for its surfing beach is a short drive away. There are numerous National Trust properties and gardens in West Penwith which are particularly beautiful during the Spring and early Summer. We now have the unique Eden Project and also the National Maritime Museum Cornwall on Falmouth's waterfront which are both only about an hours drive away. The Merry Maidens stone circle are in a neighbouring field and we have our very own 'Tregurnow Cross' in our driveway. These are just a couple of the many ancient sites to be found nearby. Click here for location and directions . We do advise prospective guests to print these directions and keep them with you to make finding us much easier. Tel./ Fax + 44 (0)1736 810255.